Team Teasdale Realty Has a Strong and Steady Pipeline of Buyers from California. In a survey done by the National Association of Realtors, it was discovered that 90% of buyers use the internet to find a home. This is where the Utah home searches begin. 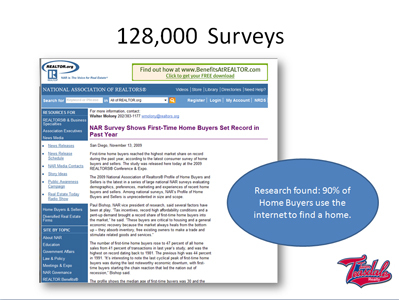 Buyers scour the internet for new homes and listings on a daily basis. Gone are the days of scanning the newspapers or outdated home magazines. Buyers can view pictures, virtual tours, plot plans, and gather much more information than a tiny newspaper ad contains. If you want to maximize your marketing exposure and get the most money for your Utah home, you need to get your home properly marketed on the internet, and it will sell. Team Teasdale is extremely busy working with buyers who are requesting Realtors in Utah County. We do our best to suggest that these buyers first consider Team Teasdale listings. 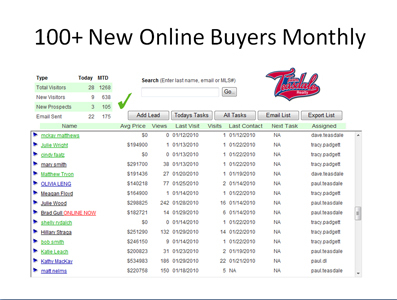 Team Teasdale sold 83 homes in 2014, and many of these buyers came from the internet. Team Teasdale Realty has three full-time buyer's agents who are showing and selling homes all the time. If you are planning on hiring a Realtor in Utah, make sure he/she really has the buyers. Many agents claim to have buyers. We actually DO have hundreds of buyers, are regularly selling our listings with them, and can prove it. Article Keyword: Buyers Utah County Homes. 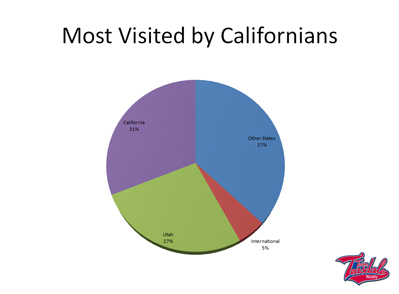 Our host, Godaddy, analyzed our visitors, and we discovered that 31% of our traffic was from California buyers and 27% from Utah buyers. 37% of our buyers came from the remaining 48 states. Approximately 5% of our visitors came from various countries around the world. This year we sold a condo near BYU to a family living in Belgium. They found our site in Europe, sent a relative to see the property, and wired the money for payment. Please understand that not all Realtor websites are equal. A good site can make a difference between your home being sold or not. Hire Team Teasdale Realty and get the best internet marketing available in Utah County. Article Keyword: Buyers Utah County Homes. FREE Comparative Market Analysis. Find Out What Your Home is REALLY worth.